J. D. Myers is a popular author, blogger, podcaster, and Bible teacher. He writes to help people escape the shackles of religion so that their life and theology can look more like Jesus. The Atonement of God: Building Your Theology on a Crucivision of God by J.D. Myers is a profound and thought-provoking book that gives good insight to the various views of atonement and explains the non-violent view of atonement. The book also speaks about humanity, sin, forgiveness, violence, justice, and the Scriptures, thereby throwing light on God and His relationship with everyone. The author thinks it is important for the sake of Christian living and theology to understand why Jesus went to the cross, what He accomplished on the cross, and what role the Father played in Jesus’ death on the cross. The purpose of the book is to have an understanding of God in line with His full revelation in Jesus Christ. I like the author’s interpretation of theology because he makes it simple and helps readers understand the intent, meaning, and context. 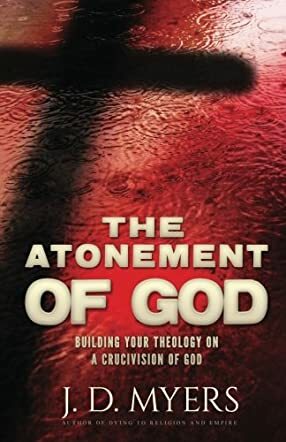 Though there are numerous views of atonement, the book summarizes and explains the four most common views of atonement. The author gives a lot of information about God, Jesus, the Holy Scriptures, and many other factors related to Christianity that makes it practical and understandable to readers. The author reiterates the power and presence of God and His grace through this book. It is a good book when it comes to clarifying a lot of questions about the Bible and the Scriptures, and broadens readers’ knowledge about atonement and how much we are all loved by God.